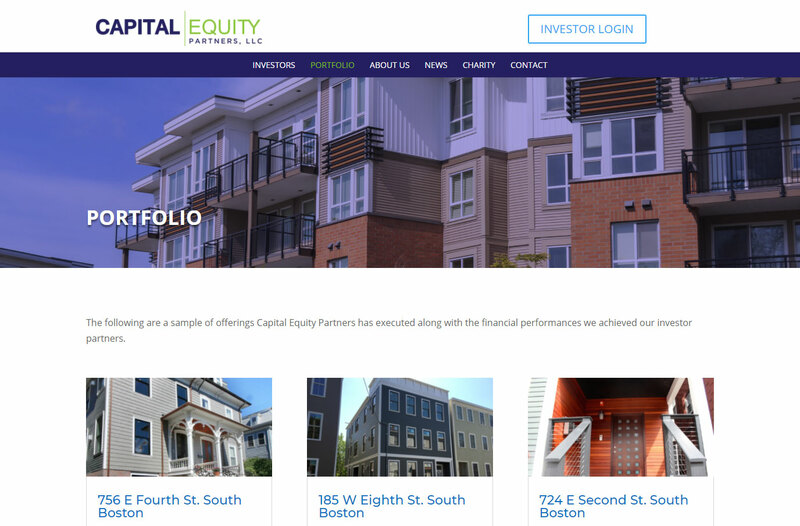 Most recently, Up And Social did a website revamp for Capital Equity Partners, LLC. The goal for this website was to provide a site that filled the needs of both current investors and prospective investors. The information included for current investors is current investment opportunities, personal profile information, and the latest insider news. 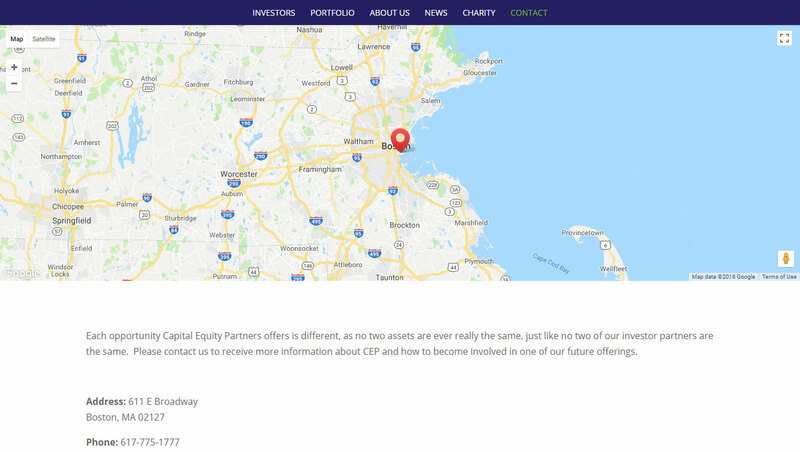 For prospective investors, there is general information about CEP and what kind of value resource CEP brings to investors looking to build a portfolio in related areas. All of this information is organized through a user-friendly interface that allows for easy navigation. The design matches the brand CEP has created – industry expertise, market knowledge, and growth. Images, font, and color were used collaboratively to support these qualities. Creating a responsive website was imperative to make sure that every site visitor receives what they need from the website.